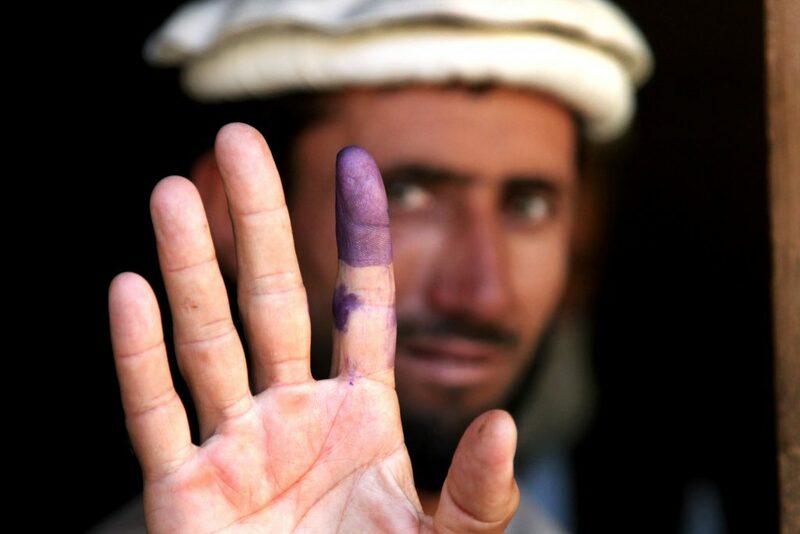 An Afghan elder shows his purple inked finger to indicate that he voted during the Afghanistan elections of August 20, 2009 in Barg e Matal, Afghanistan. U.S. Army photo by Staff Sgt. Christopher Allison. We are glad to share the results of our first Readers Survey. The Survey ran between June 11 and July 16, 2018. The results below have already been very useful for us, as they allow us to understand who our readers are and if they are satisfied or not. We will use your suggestions to improve our Blog, especially regarding the website layout and the choice of future content. Thanks again for taking your time to share your opinion with us! Question 1 – How old are you? 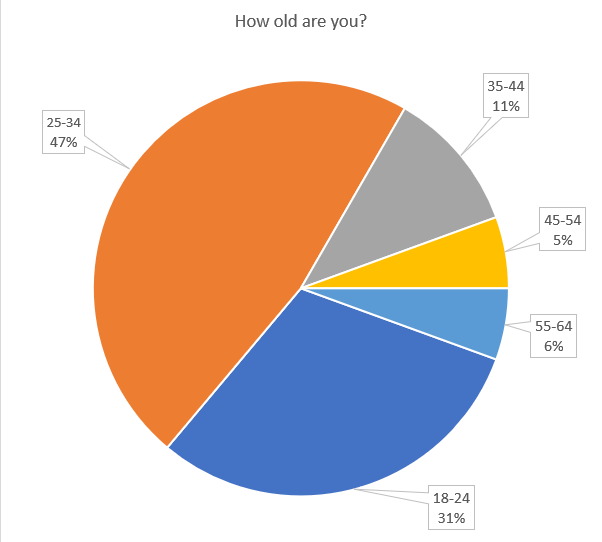 Our readership is mostly relatively young, with a great majority of respondents being between 18 and 34 years of old (78%). This is most likely due to our nature as a student-led blog. Question 2 – How would you describe yourself? Our audience shows a great diversity with regard to its current occupation. 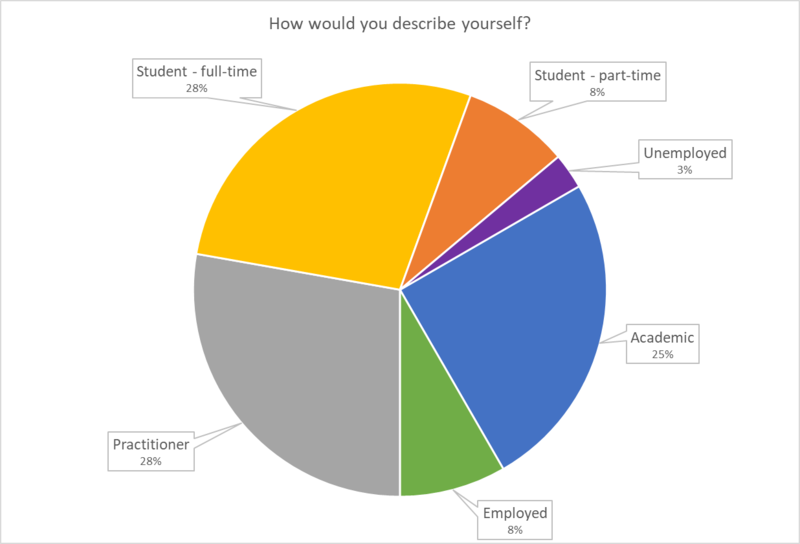 More than a third of our readers are students (36% either full-time or part-time), while more than a quarter are practitioners (28%) and exactly a quarter are university staff. Question 3 – Where are you currently based? Half of our readership is based in the United Kingdom, reflecting our strong links with the country where most of our members of the Board are currently based. 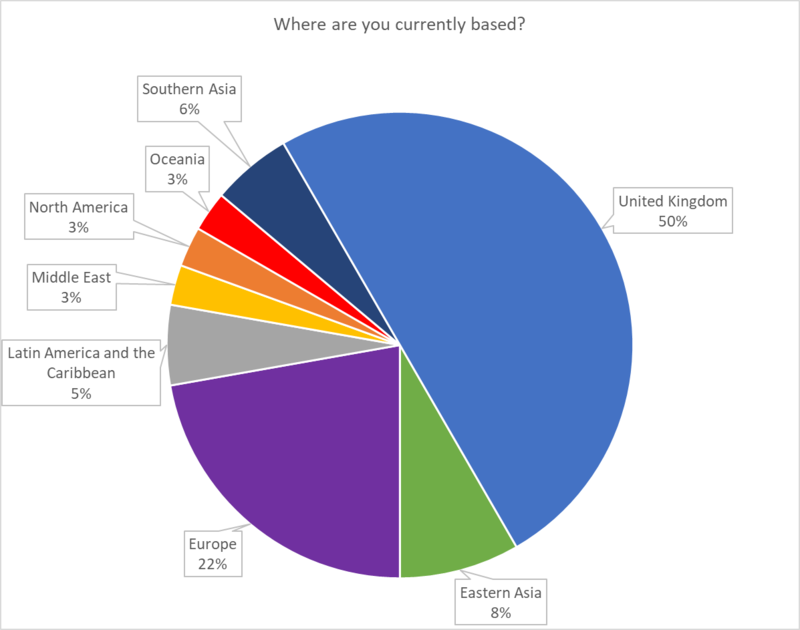 The rest of our readership, however, is relatively diverse and reflects our global reach. 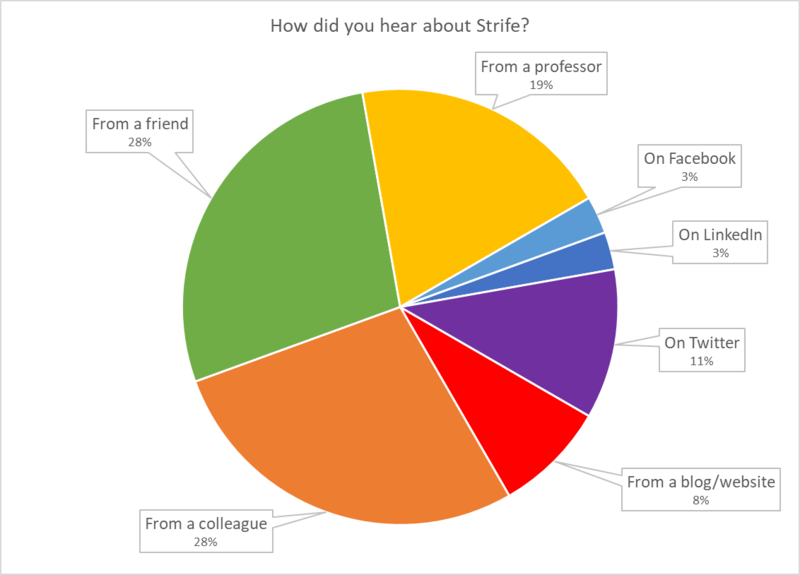 Question 4 – How did you hear about Strife? Notwithstanding the power of social media, word of mouth seems to be our strongest ally regarding how we acquired our readership base. This probably reflects our roots as a student-led initiative inside King’s College, but it may also reveal something about the actual effectiveness of social media, even in our age. Regarding our online presence, Twitter seems to be the platform that contributed the most. Question 5 – What is your purpose in visiting Strife? Naturally, the most chosen answer reveals the interest in conflict on the part of our readers. However, the even share of the first three answers advises us to continue to deliver interesting pieces of academic research (like our Features) as well as policy-related posts. 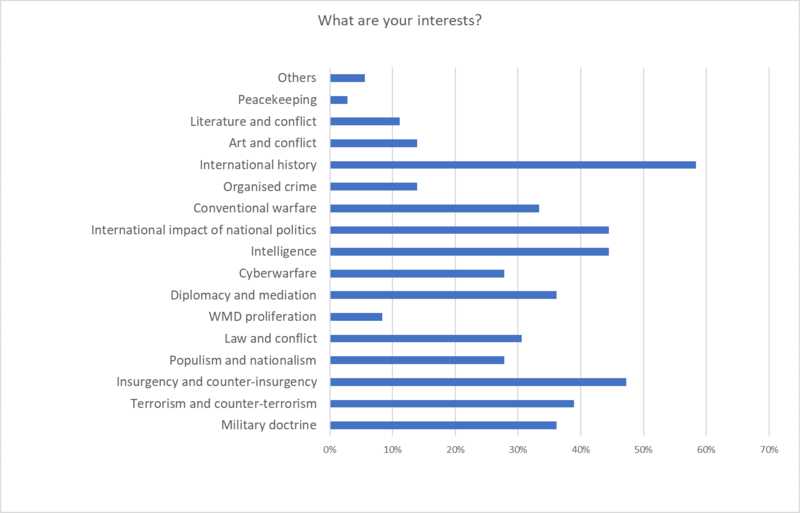 Question 6 – What are your interests? 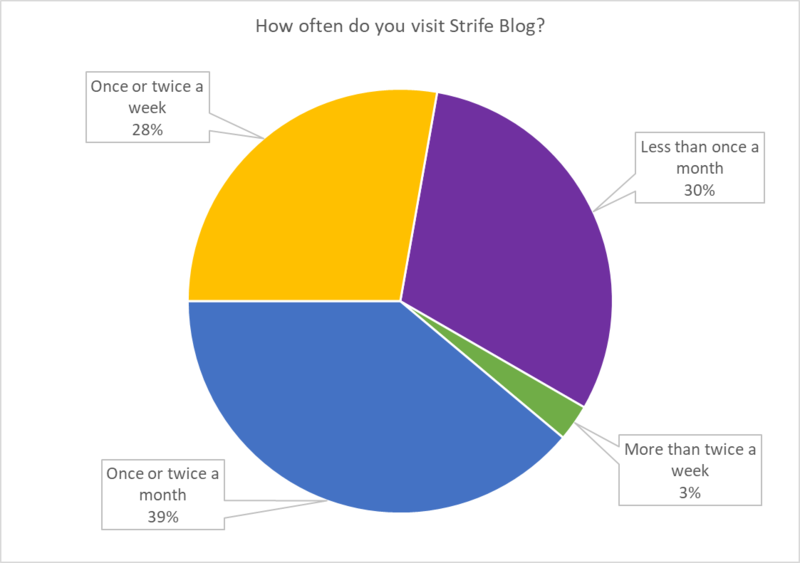 Question 7 – How often do you visit Strife Blog? Our readers are quite evenly divided when it comes to frequency of visits. 31% of them visit us once a week or more; 39% visit us once or twice a month; and the remaining 30% is less regular. 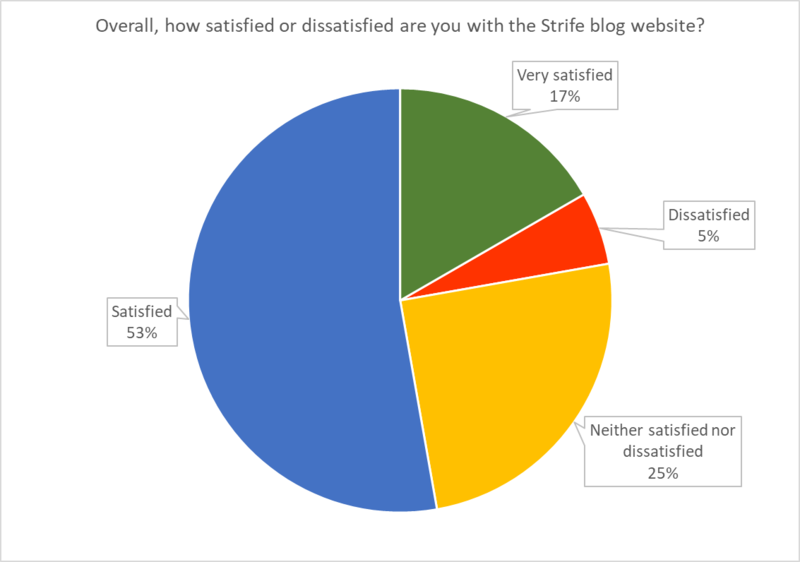 Question 8 – Overall, how satisfied or dissatisfied are you with the Strife blog website? This question aimed at understanding our readers’ satisfaction with our website. Although a clear majority is satisfied or very satisfied (70%), a lack of satisfaction in the remaining 30% points out to the need for some improvements on the website. Some of you have kindly provided us with helpful advice on what to do in the next months. 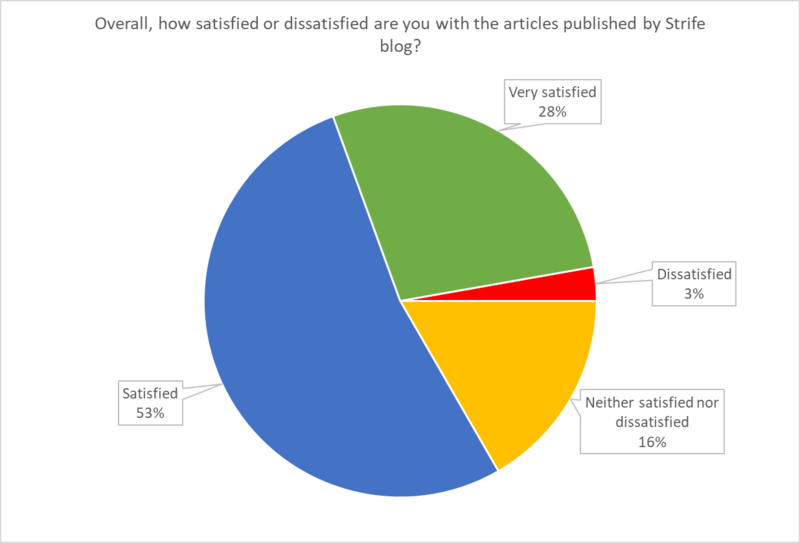 Question 9 – Overall, how satisfied or dissatisfied are you with the articles published by Strife blog? Satisfaction towards our content is even more common than that towards our website. 81% of our readers are either satisfied or very satisfied with our articles. This, however, does not mean that we will not improve where possible to satisfy at least part of the remaining 19%. 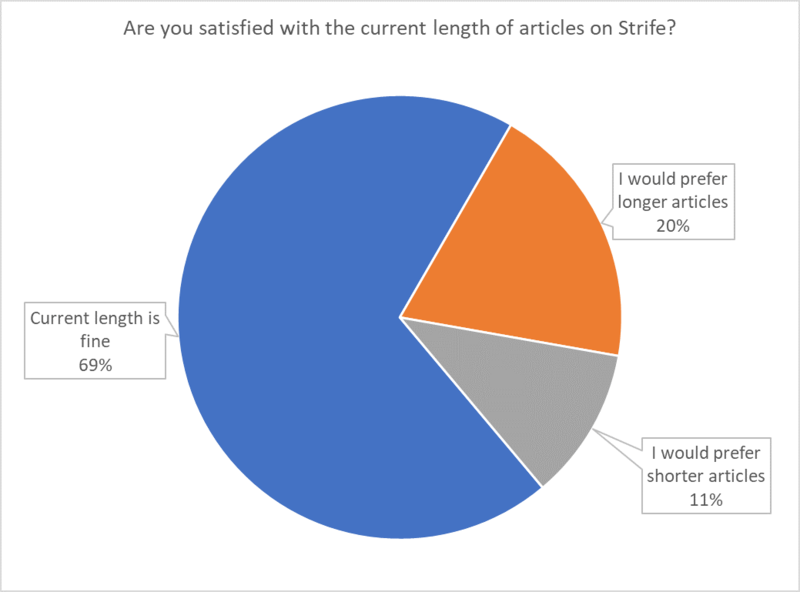 Question 10 – Are you satisfied with the current length of articles on Strife? On this particular question, our readers expressed satisfaction towards our current article length (1000-1500 words for a standard piece, 2000-2500 for a Feature). Some degree of support towards longer articles encourages us to continue providing you with our Features for the foreseeable future. Thanks again for your help! The 2019 Readers Survey will come out around May next year.